While the Tamiya release is quite likely to be a polycarbonate-bodied version, I am wondering if anybody else might be inspired by its appearance in the new releases list. I am rather pleased with this release, especially since it comes on a chassis with the drive at the correct end. I hope the boot is big enough to accommodate the rear mounted motor of the MF-01X so that we can also model the 4WD full-size option. I also really hope that some clever company comes up with a moulded canopy affair for the rear to allow the easy creation of a fourgonnette. 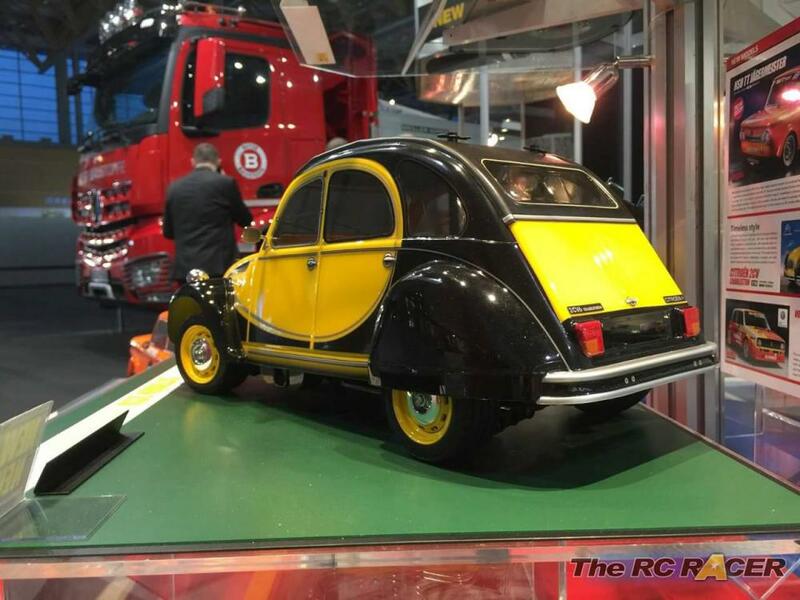 I've had plans to build a Méhari (2CV-based utility vehicle, sort of like a French Mini Moke) from scratch for a while now, using Tamtech Gear driveline pieces and 4 front wheels... this announcement makes me want to bump it to the front of the build queue. 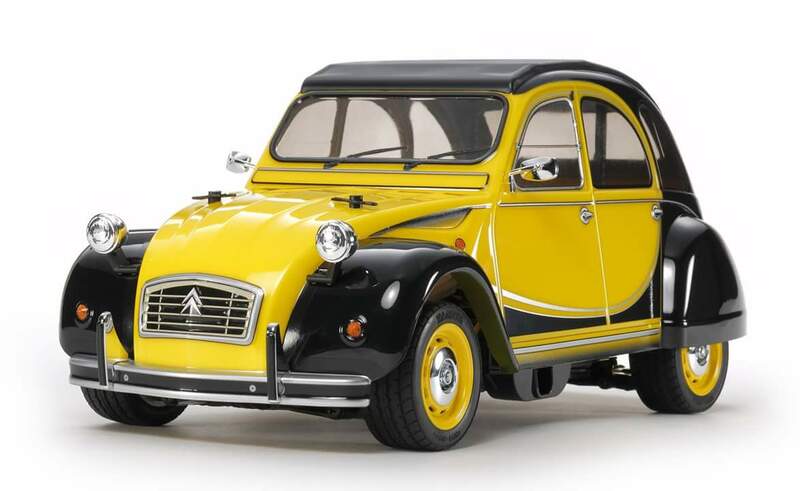 How can you not love Citroëns? I'll never forget seeing a 2CV Dolly burst into flames on a Motorway once, occupants were all OK all they could do was sit on the side of the road & watch it go up . Apparently a common problem. My Dads Renault did the same after some wiring shorted rubbing against the radiator. Must be a French build thing. If you do do something maybe an Inspector Clouseau character as a driver would be fun . Oh yeah and you might want to fit a fire extinguisher too. 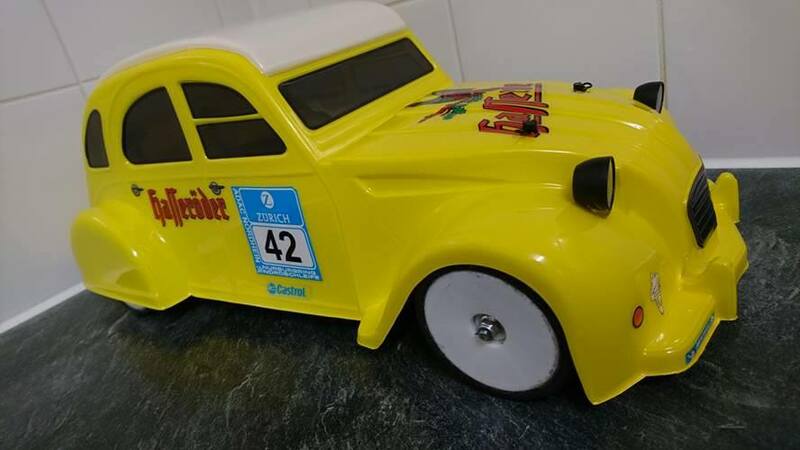 There have been 2cv shells available for ages, raced one myself in my local tt01 cup. Awesome looking things! 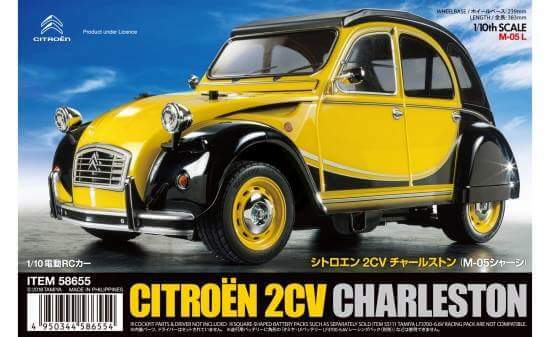 If I remember rightly, didn't Citroen actually make a twin engine [ie. 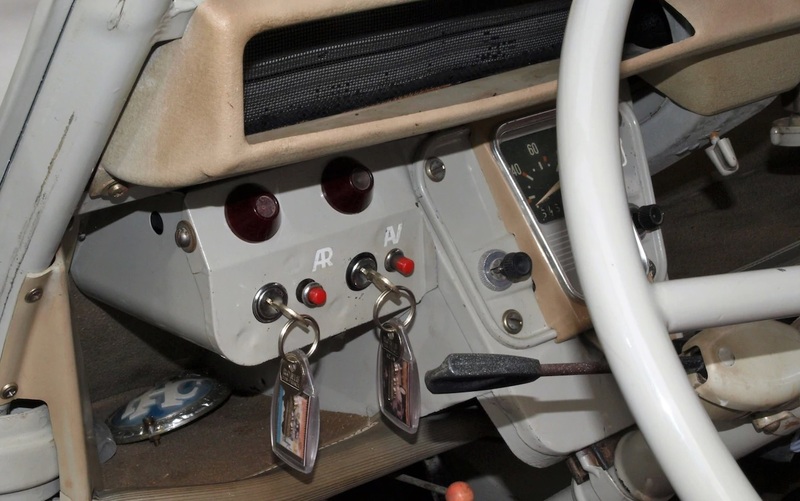 4wd] 2CV at one point? Oh wow, I never knew! It even has 2 keys for 2 engines! I just remembered where I've seen it. I've seen it in an old animated movie. I think it's a really famous one in Japan. I'm sure somebody will build a pink one with a runaway bride in it. It is Lupin the Third, Castle of Cagliostro. I'm impressed, Grastens. He is a very distinctive-looking character, for sure! I am not ashamed to say that I have never seen that before! impressed again! Was the original engine that small? ...With 380 motors required, for "realistic" performance. 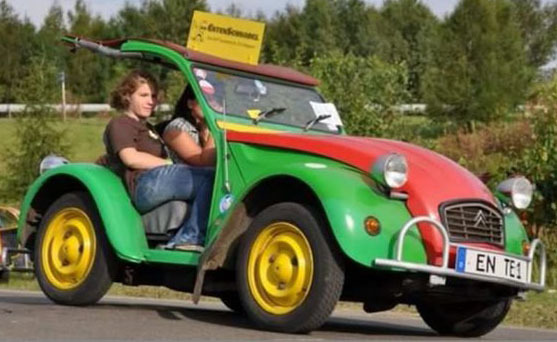 Cant believe Demon Tweeks put their name on that 2CV! In the 1:1 cars, there is an adapter plate that allows you to fit a BMW motorcycle boxer engine. Those things shift pretty well. 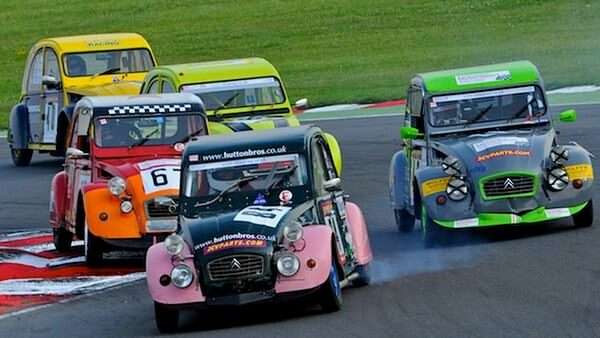 The U.K. 2cv races require you to use original engine and gearbox. Would love to have a go. 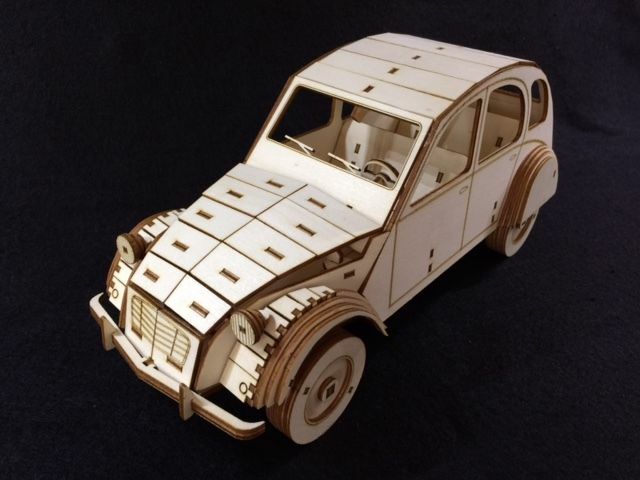 I think it’s great Tamiya are releasing the 2CV, we already have the Beetle, mini and Fiat 500. Now the ‘people’s car’ lineup is complete. I’m quite interested in this model. Must admit I have rather a soft spot for a 2CV. I was quite surprised to see this in Tamiya's new release lineup. 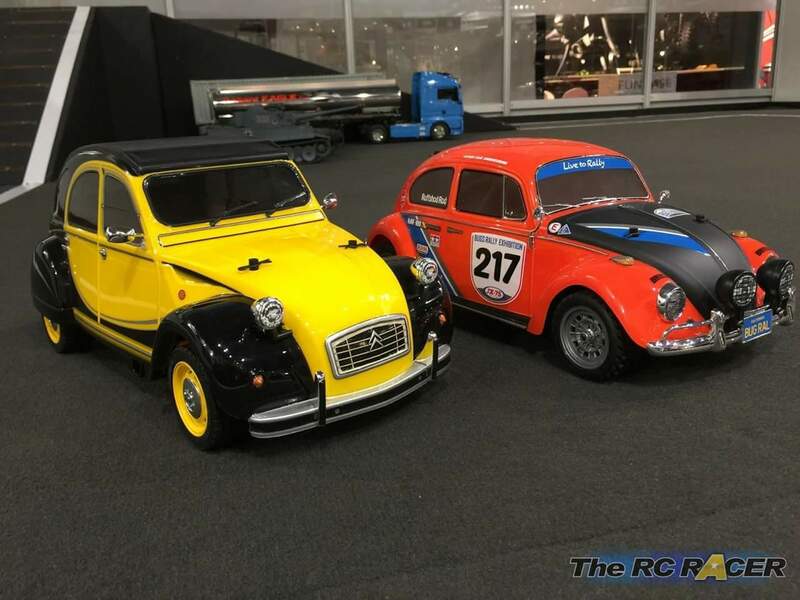 I know the car has a bit of a following among collectors in Europe but didn't expect to see an RC version of it from a company like Tamiya. Maybe they're trying to get back their M-chassis classic market share that they lost when they lost Mini licencing? I'll be keen to see what it looks like when it comes along but doubt it'll be on my list. I hate 2CVs even more than I hate Morris Minors. Many years ago now I was sat next to a friend waiting for a school lesson to start. He was reading a book. He looked at me and said "Citron. That means lemon, right? In French?" "Yes." I said. "Pretty sure citron is lemon." He gave his book a confused look. "So... What's a lemon two-horse?" 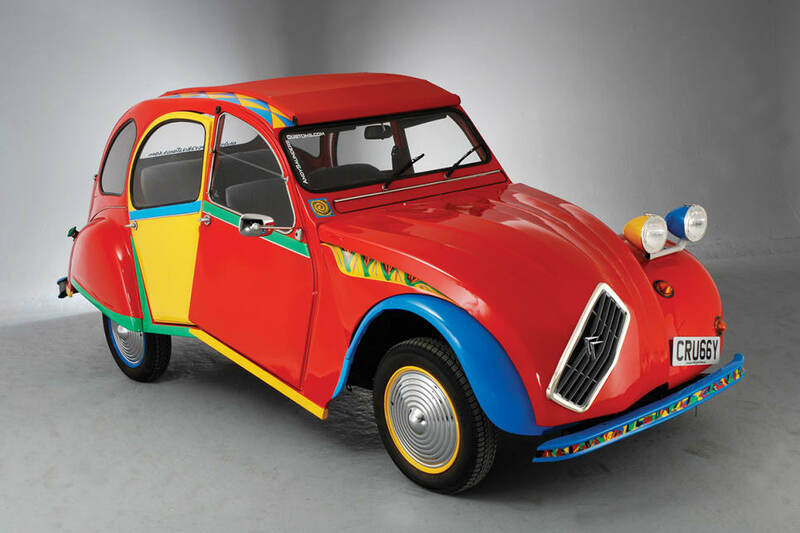 I had to point out that Citroen Deux Chevaux was a rather silly car driven by ladies with crazy hair and geography teachers. ... Is it too early to talk about a Kumamon Edition yet?